Coming off his fifth Masters title this past week, Tiger Woods was named on Wednesday to Time Magazine’s 100 Most Influential People List for 2019. Each individual named to the list had a fellow celebrity write a short passage on their behalf, explaining why he or she has been so influential. For Woods, it was Grammy-winning musician Justin Timberlake. An avid golfer himself, Timberlake wrote about how much it would mean to the now 15-time major champion to win another title that his two children could see and experience. Timberlake, who has played golf and spent time with Woods, also elaborated on the importance of fatherhood to both men. Timberlake concluded his piece by discussing the hard work and time that Tiger put into winning his first major in 11 years. The annual list, which was first assembled by Time Magazine in 1999, includes the 100 people who have had the most impact on the world in that given year. Woods is one of four athletes to have been selected this year. Professional basketball player LeBron James, along with professional soccer players Alex Morgan and Mohamed Salah, earned the honor of being named one of the 100 most influential people in 2019 as well. 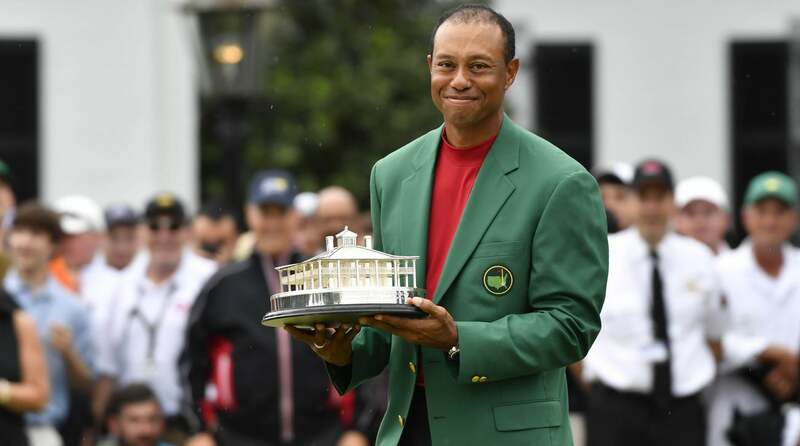 But it wasn’t the only honor the 43-year-old Woods received after winning the green jacket again at Augusta National Golf Club. President Donald Trump announced on Monday via Twitter that Woods will receive the Presidential Medal of Freedom, becoming the fourth golfer to receive the honor. The Empire State Building in New York also lit up in green and red this past Monday night to pay homage to Tiger’s victory, his 81st career win on the PGA Tour.